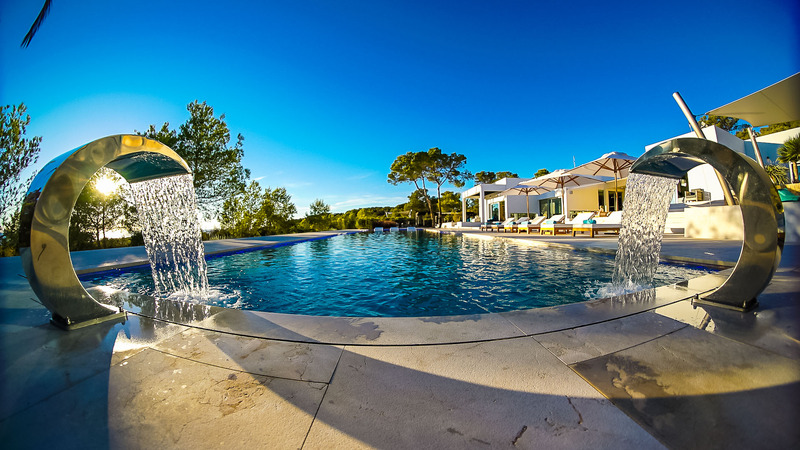 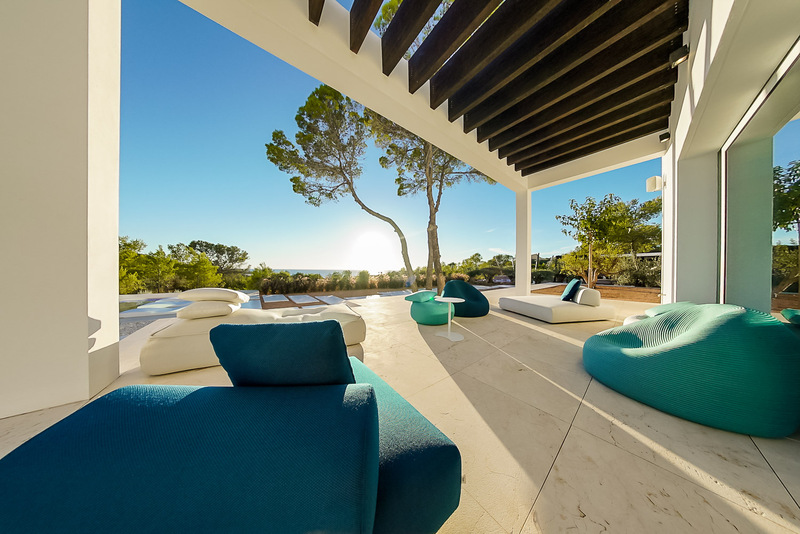 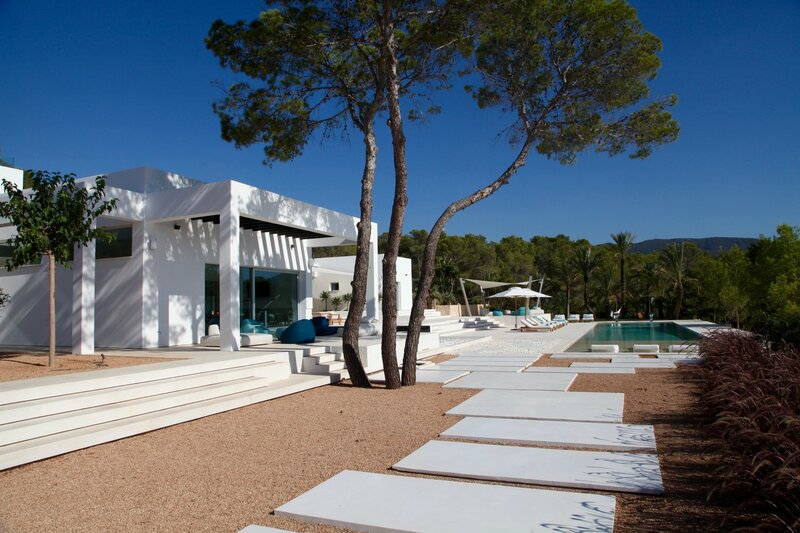 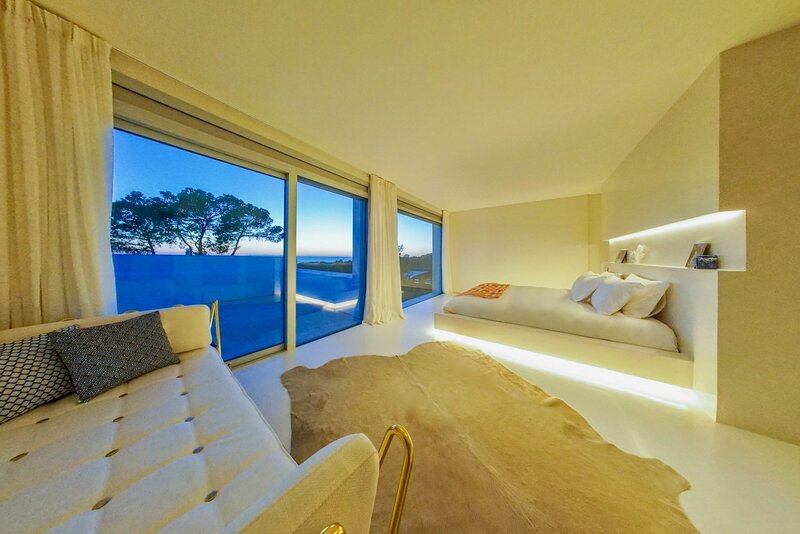 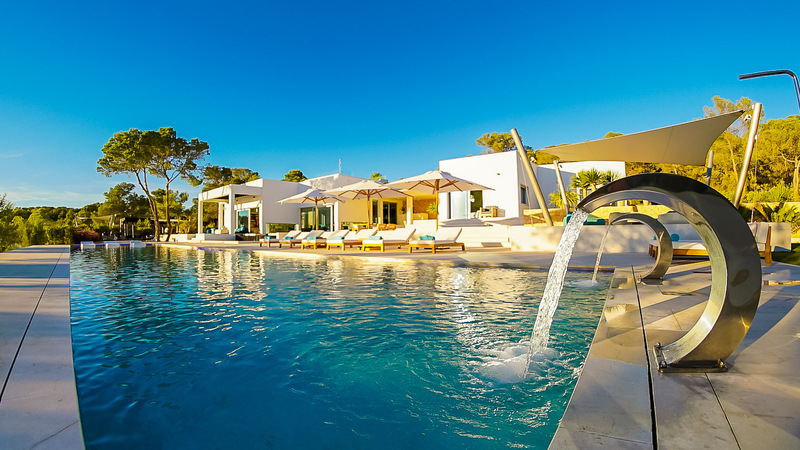 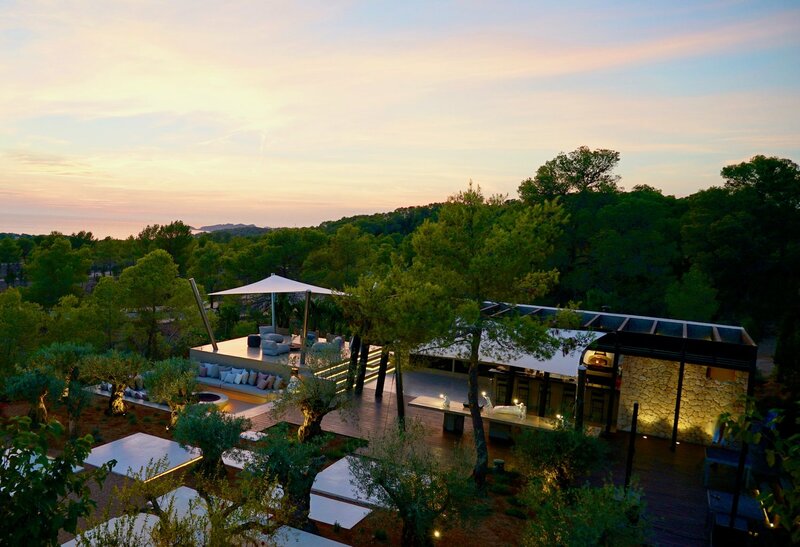 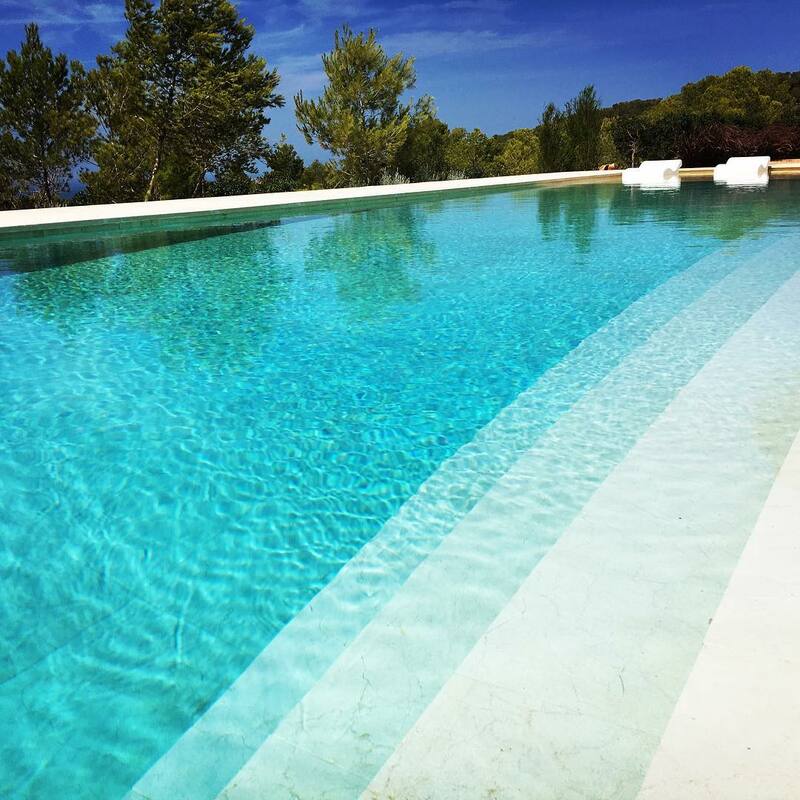 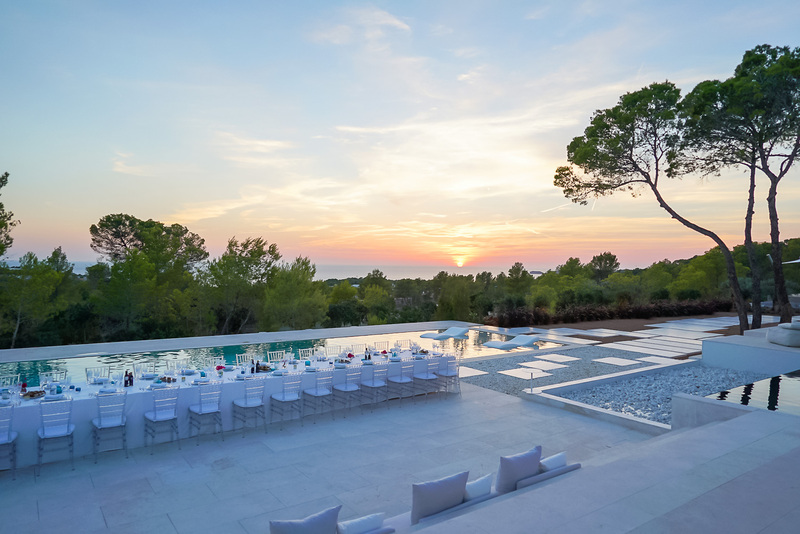 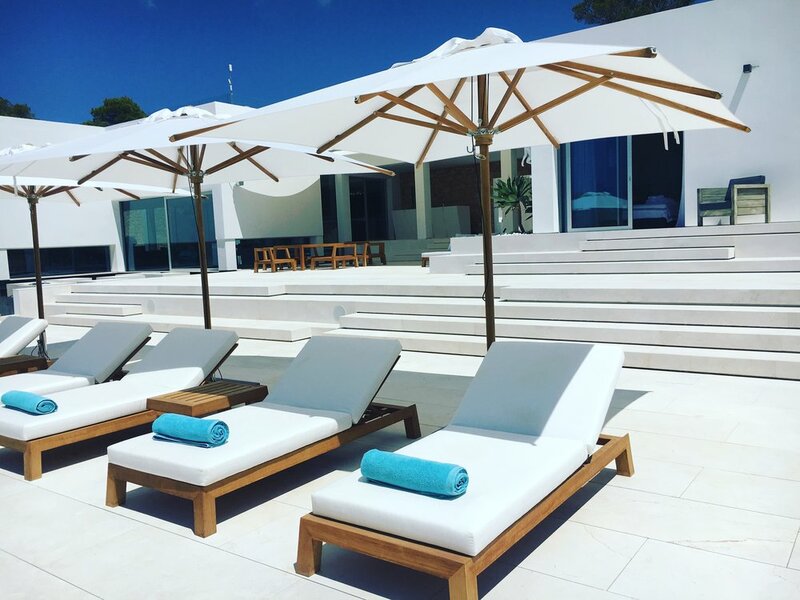 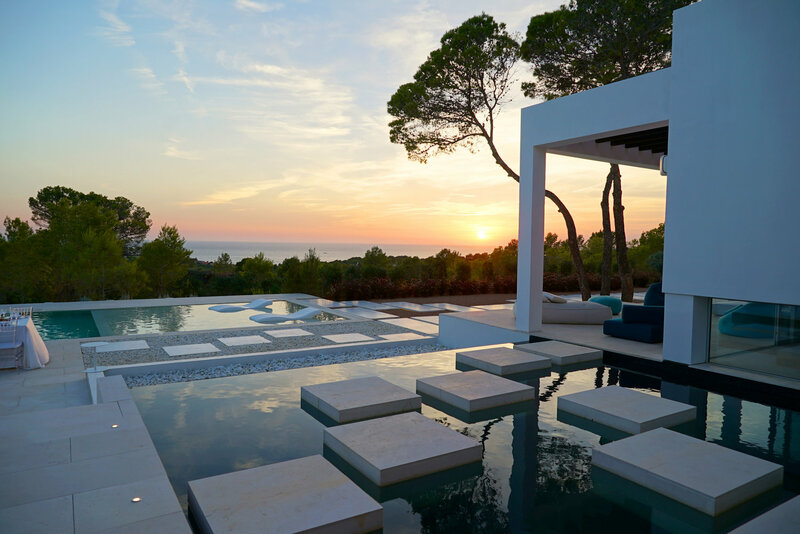 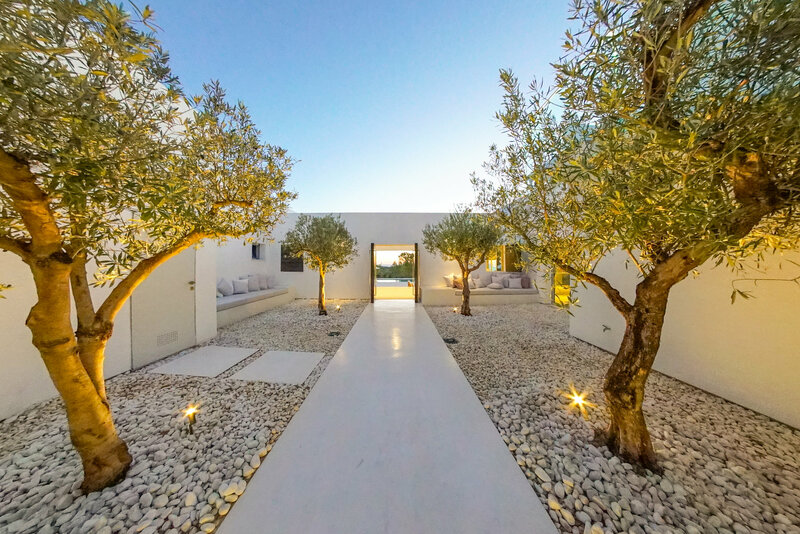 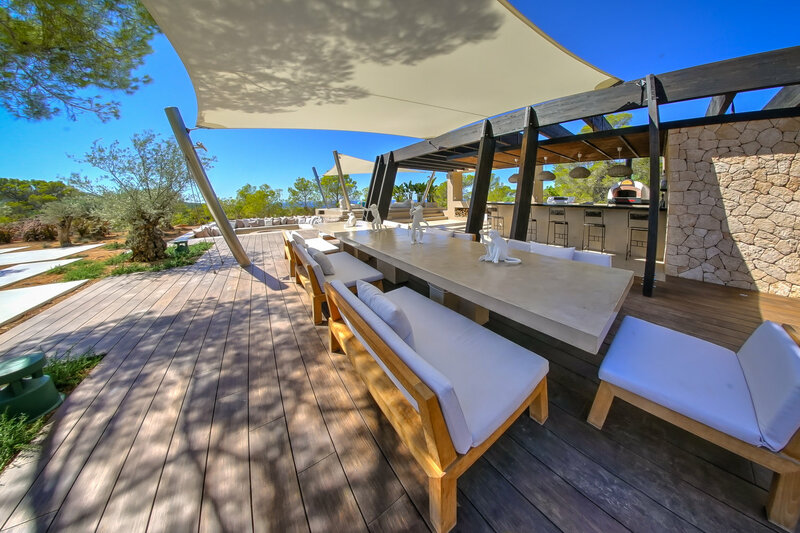 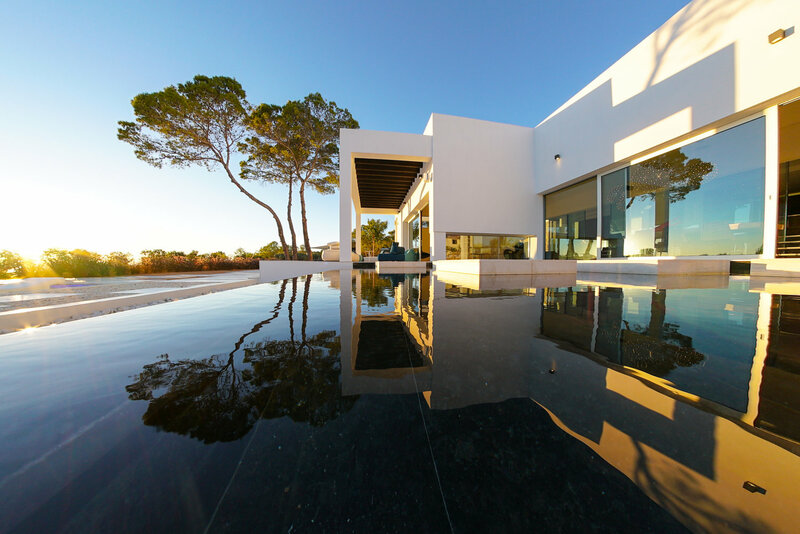 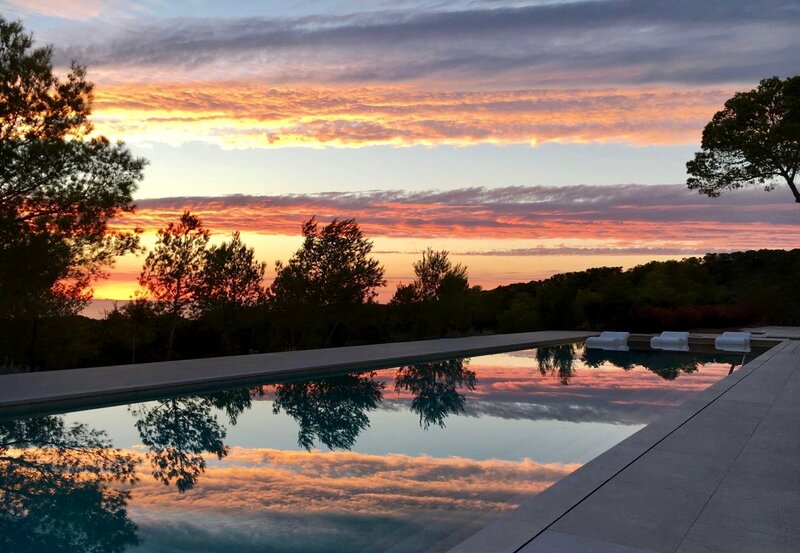 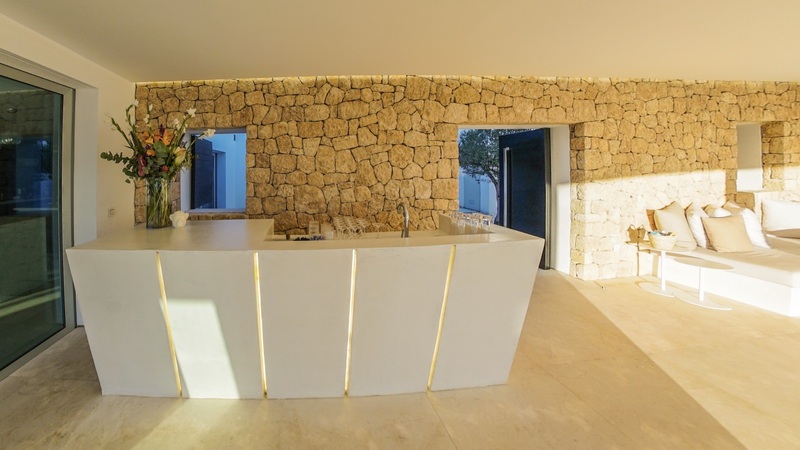 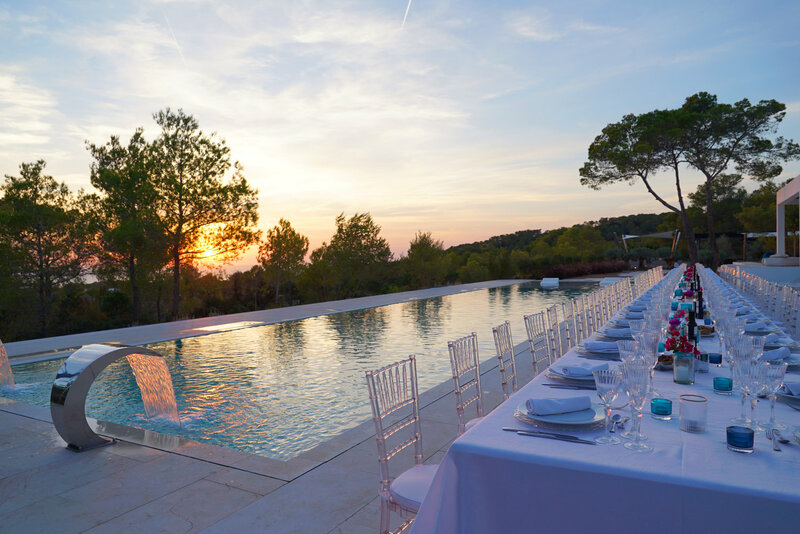 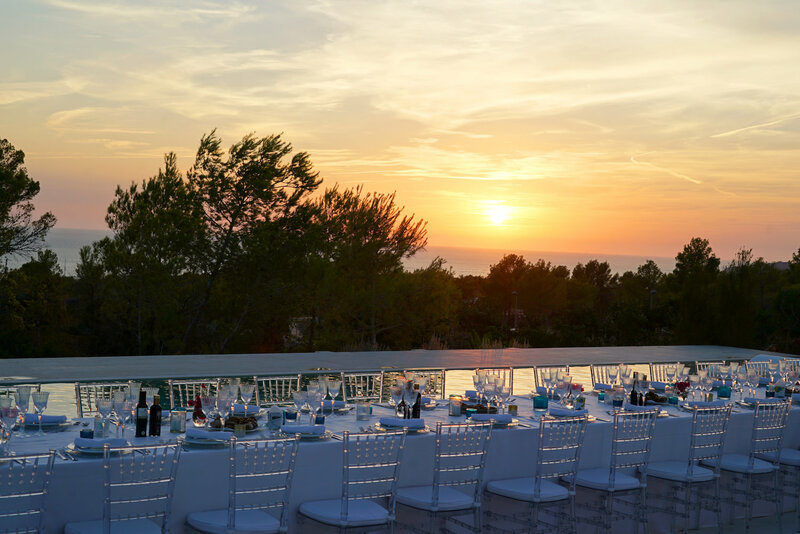 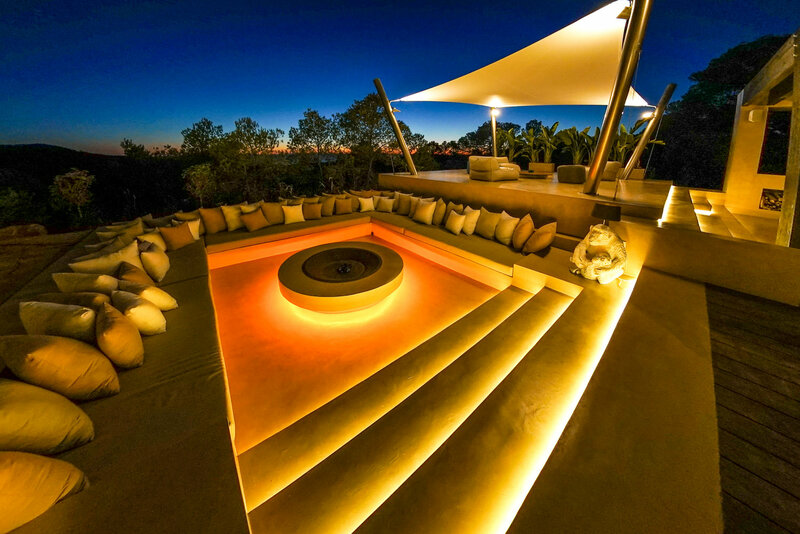 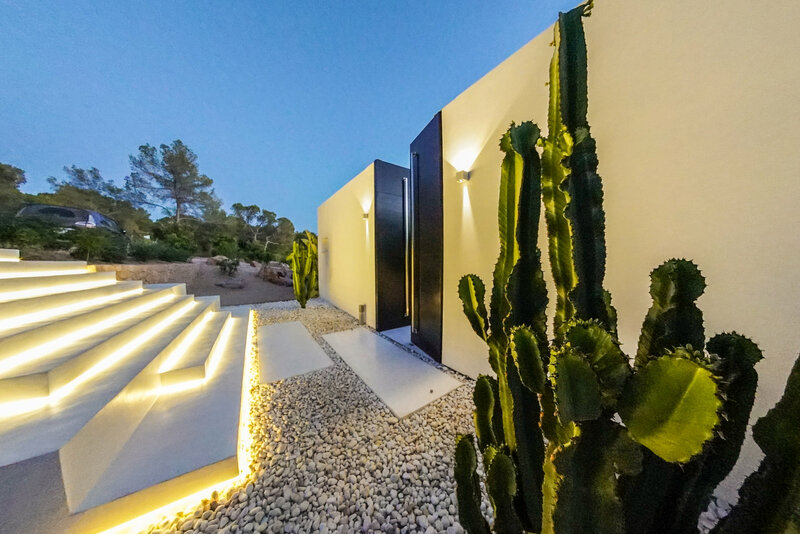 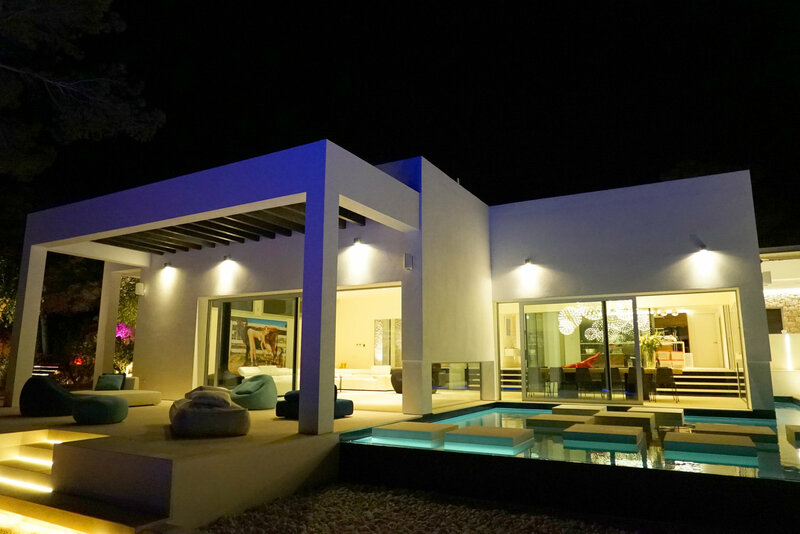 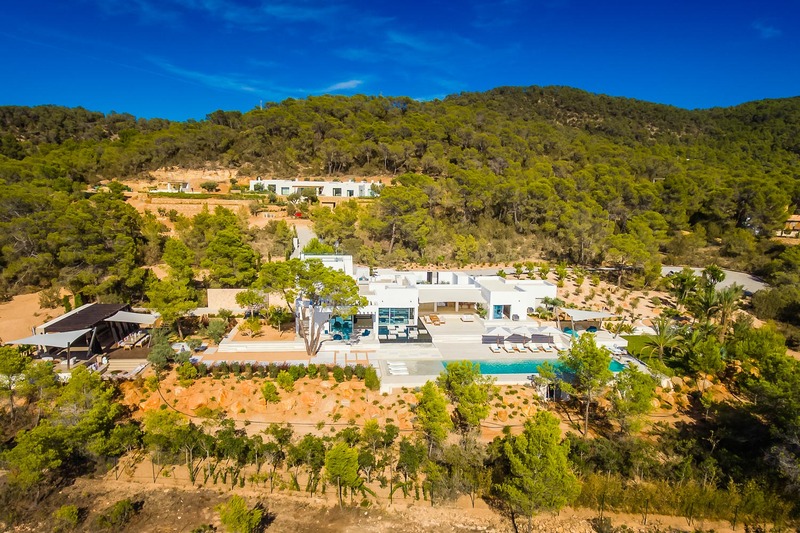 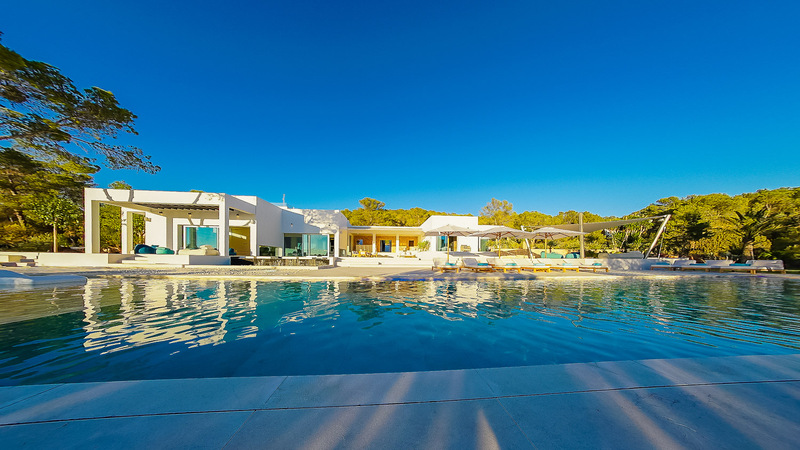 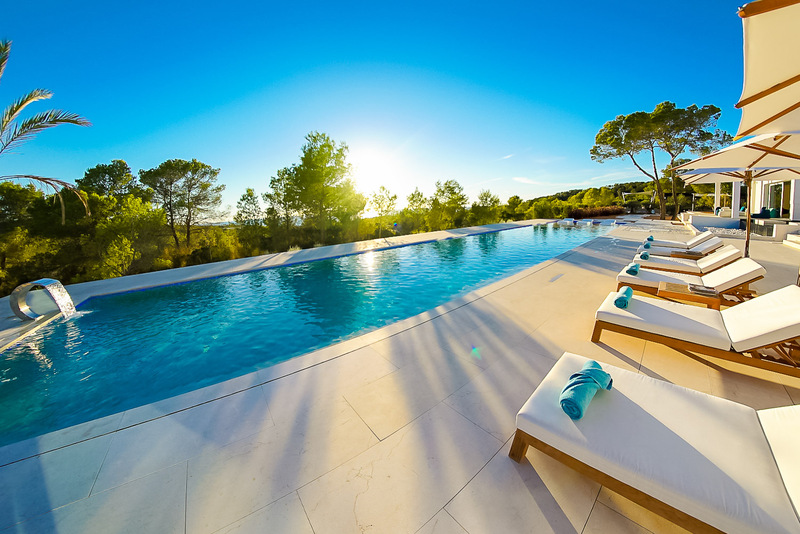 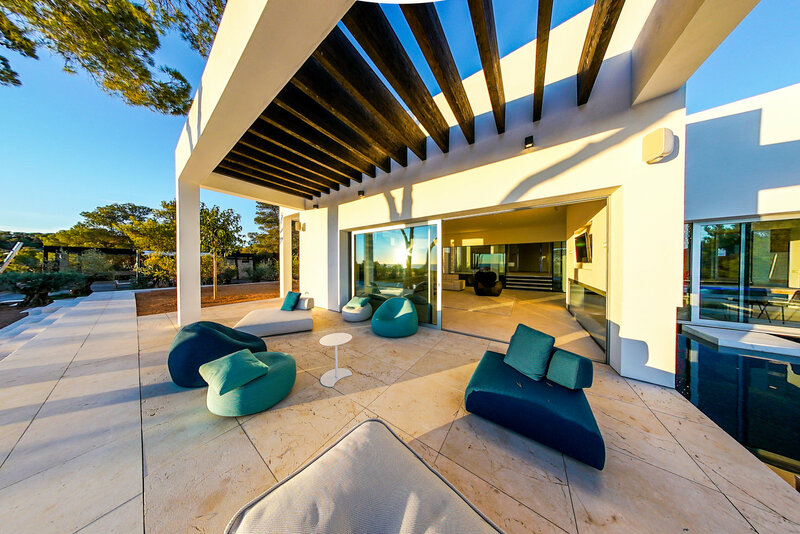 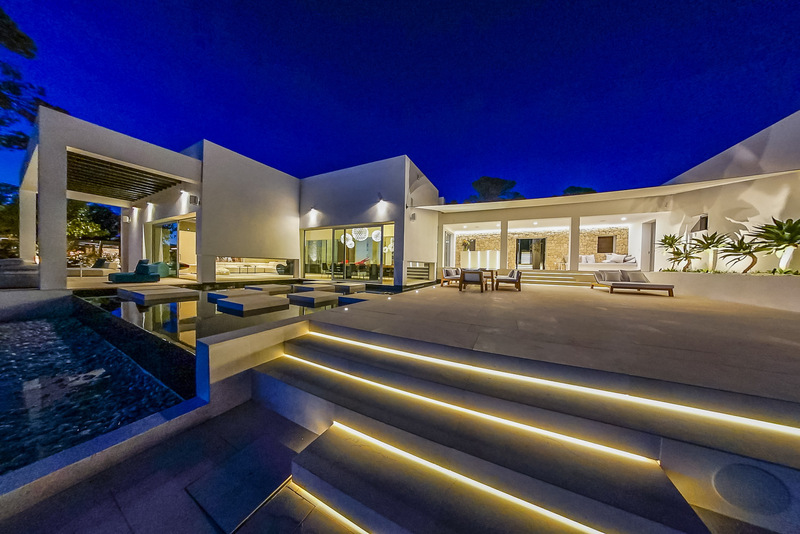 Set on over 16,000 sqm of private acreage with 550 sqm of internal space, the Villa is pure luxury – featuring 5 stylish bedrooms, extensive external terraces in white alabaster marble, dining and entertaining areas, Ibizan dry stone walls, manicured lawns, landscaping and luxurious olive & citrus groves. 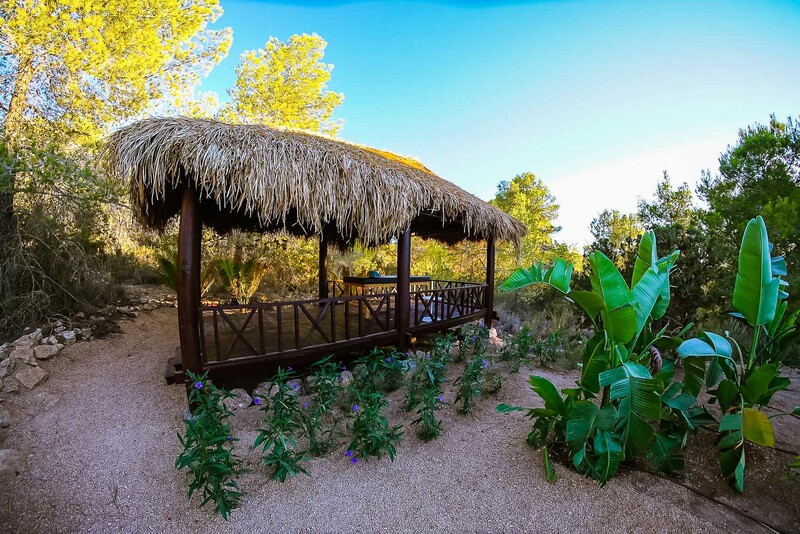 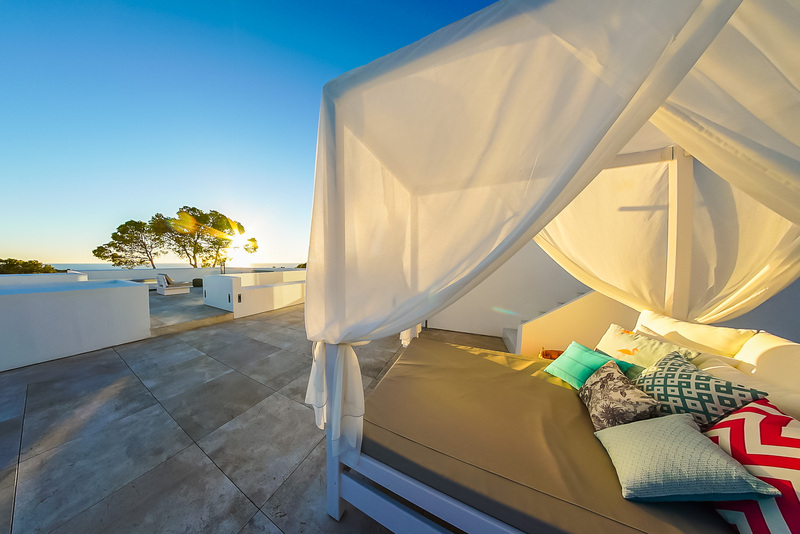 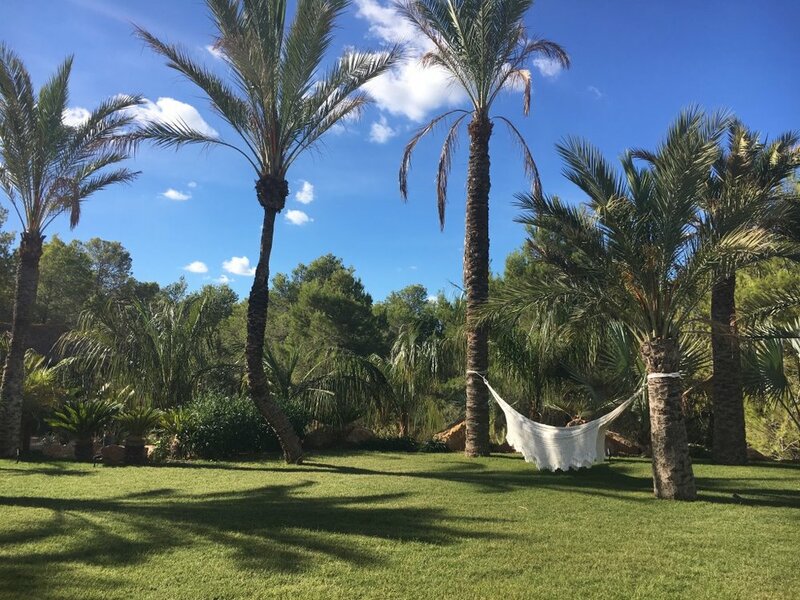 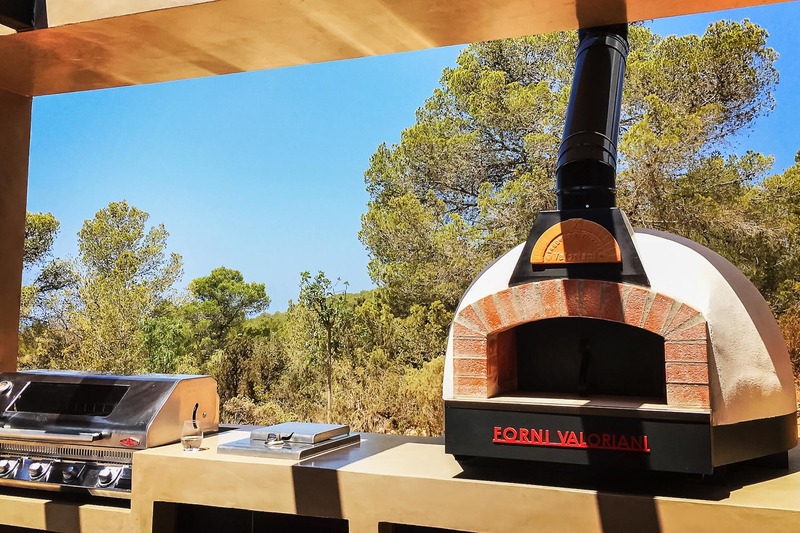 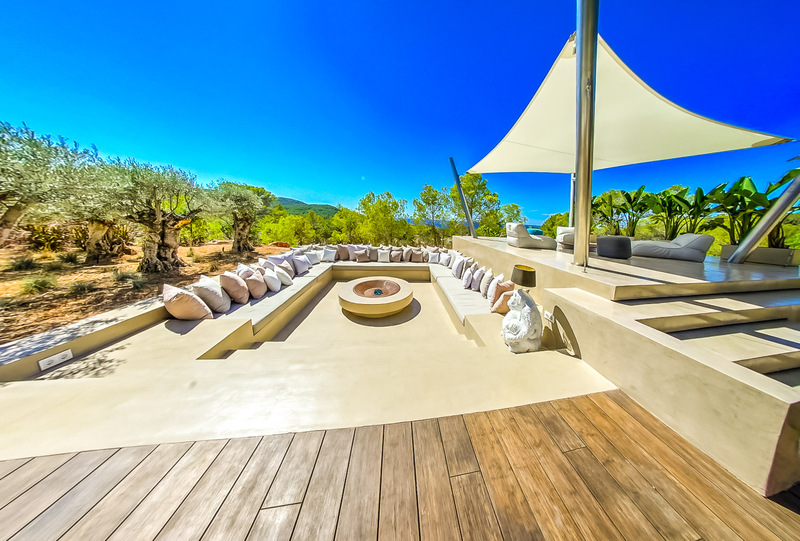 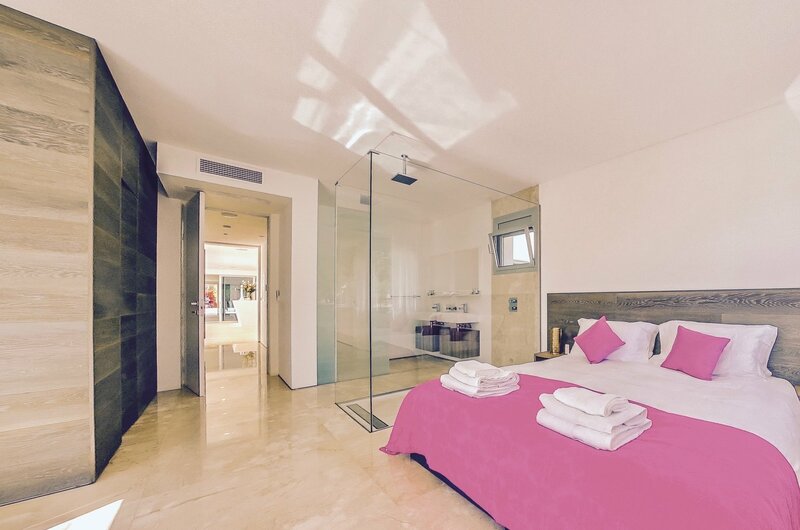 In the region of San Jose on Ibiza’s west coast and is just a few minutes to Cotton Beach Club, 8-10 minutes to Cala Bassa Beach Club (CBbC) & San Jose town, and twenty minutes from Ibiza airport, Ibiza town & Playa d’en Bossa. 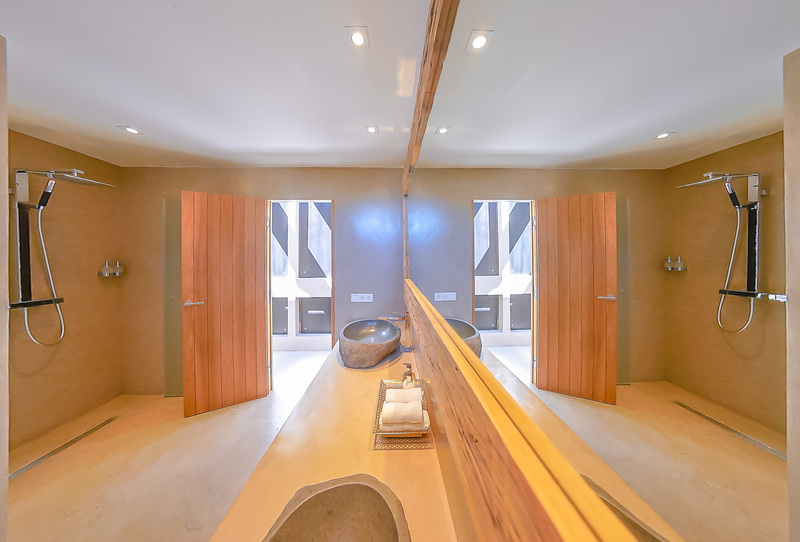 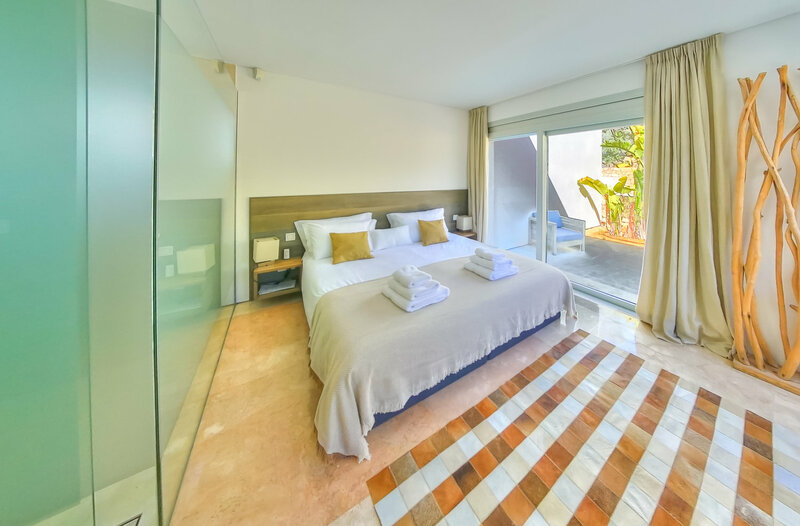 The house hosts five stylish king bedrooms with en suite bathrooms ranging from twenty five sq meters to fifty sq meters each with their own external terrace and bathroom equipped with Molton Brown toiletries, ceiling rain showers and Egyptian cotton sheets. 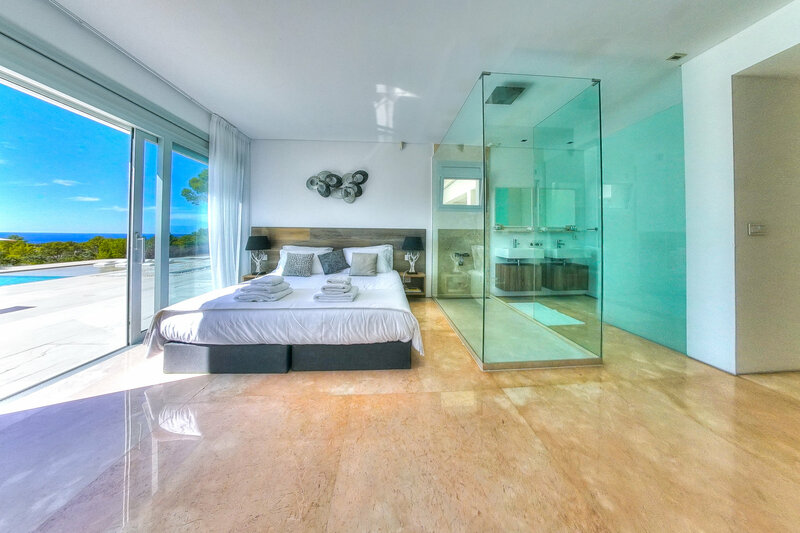 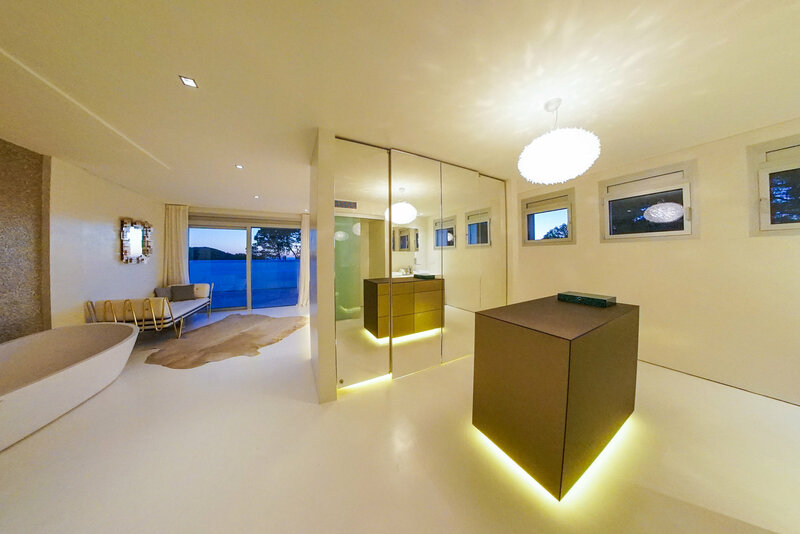 The master suite delivers pure luxury with panoramic sea views, freestanding bath, 2m x 2m Emperor bed, Jonathan Adler chaise-langue and bespoke designer mirror wardrobe & island unit. 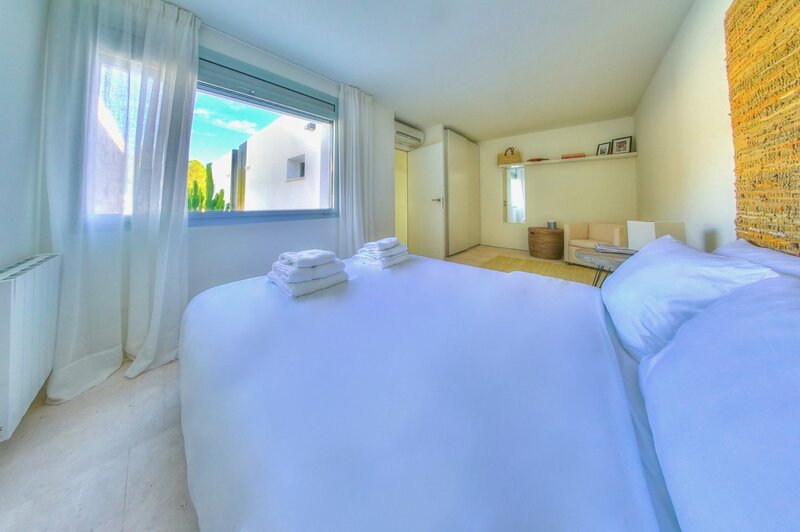 Each bedroom is fully equipped with individual air conditioning, Sonos systems, and remote-controlled blackout blinds for sleep and relaxation at any time of day. 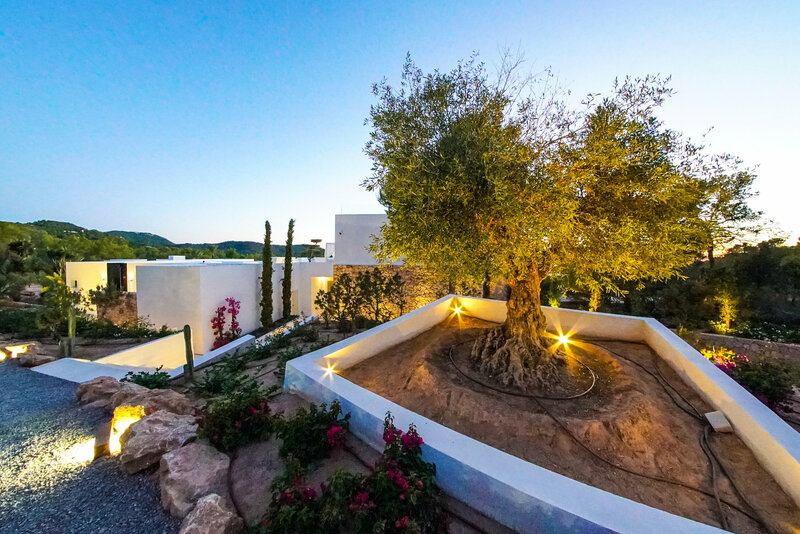 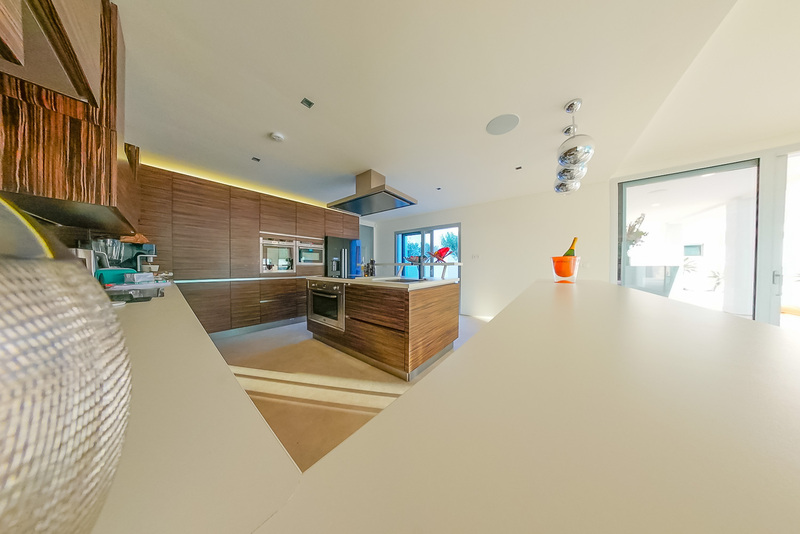 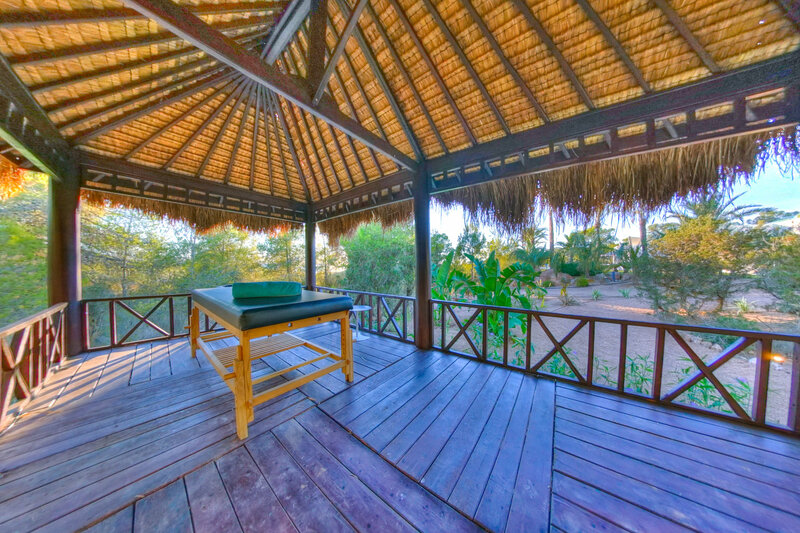 The villa sleeps up to 12, with separate single beds for children available on request.